Tourists visiting Belgrade usually want to see as much as possible in this amazing city, to visit its most popular areas, experience the fantastic nightlife and learn more about its history and culture. But once you are done visiting the city itself, you might want to see what its surroundings have to offer. And they have a lot. Camping sights, hiking trails, monasteries, historical sights and many other interesting places are just waiting to be discovered. Some of these places are easily reachable by public transport, but you can also rent a car in Belgrade and go on an adventure on your own. Ethno villages offer tourists and locals a glimpse into the past. These are the places where you can see and experience how people used to live, what the traditional hoses look like and taste the traditional food and drinks. You can visit the centuries old houses or try home-made specialties of the area. 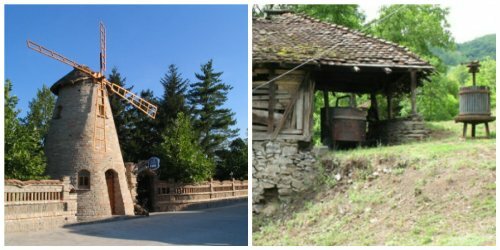 One of such villages is called Latkovac, This ethno village is located in the Arandjelovac municipality, some 200 km from Belgrade. It might be a bit difficult to reach it by public transport, but you can always rent a car and drive there. This ethno village offers amazing atmosphere that will give you a chance to relax and get away for a day from the busy city of Belgrade. The hosts will introduce you to the traditional way of life and let you experience what it used to look like for centuries. Another interesting place for those of you interested to learn more about the past way of living is the ethno village Tiganjica. Tiganjica is located 70 km from Belgrade, in Banat, close to the city of Zrenjanin. Here you can see the replicas of traditional houses that were common all over Banat, but you can also visit the mini zoo or the nature reserve Carska bara. It is the perfect place for a day out in the nature, away from the city noise, and it will give you a closer look into the traditional way of life in this area. Šumadija is the geographical area just south of Belgrade. 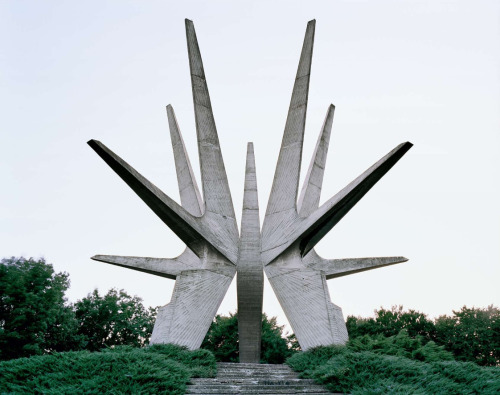 As its name indicates, it used to be covered in forests (šuma means forest in Serbian), and it is often referred to as the heart of Serbia (both in terms of geography and history). It is a hilly area great for hiking, or visiting historical attractions. This is where you can see the true Serbian way of living, where you can try local wines and food, and hear stories from Serbian history. If you decide to visit this area, don’t miss the chance to go to Oplenac. Oplenac is a hill located near Topola, and the St. George’s church and the Mausoleum of the Karadjordjevic royal dynasty (one of the most important dynasties in Serbian history) are located on its top. The small town of Topola was the administrative and the political center in the period after the First Uprising against the Turkish rule. 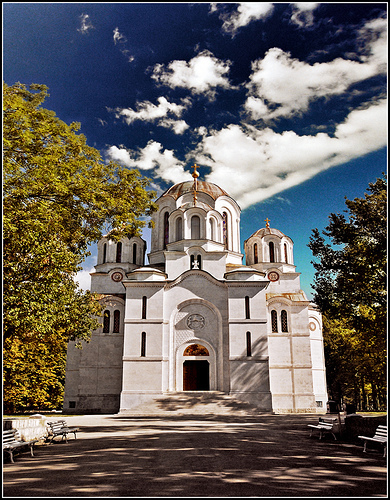 You can visit the church as well as the King Peter I’s house; and learn more about this important part of Serbian history and the Karadjordjevic family. 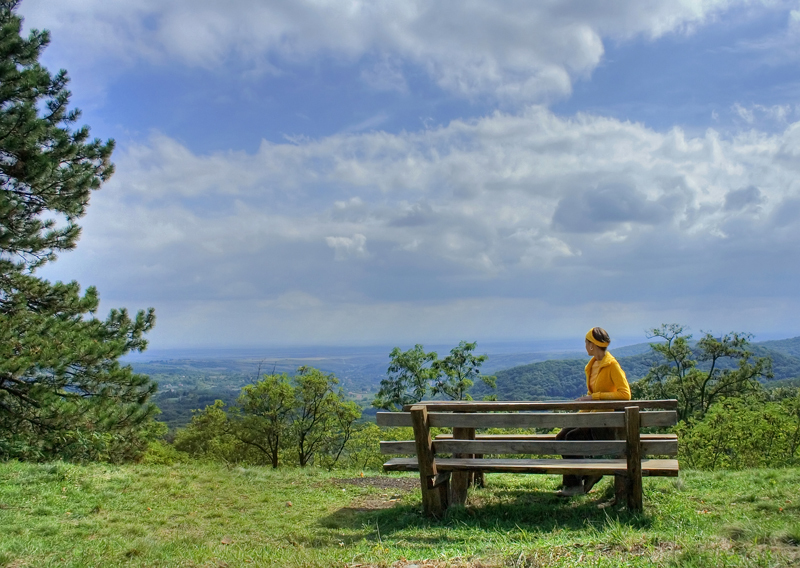 The mountain Kosmaj is one of the places where you can enjoy a day in nature, and it is located just outside Belgrade. It takes about an hour to drive there, so if you decide to rent a car in Belgrade you should not miss the opportunity to go there. Some amazing restaurants offering traditional specialties are located in this area, and surrounding them are well equipped camping sites and courts for various sports. This mountain, which is also a national park, is located in the southern part of Vojvodina, called Srem. Fruška gora is famous for its vineyards, monasteries and spa centers. A great number of monasteries can be visited in the area of Fruška gora, some of them centuries old. There are seventeen monasteries altogether, which give the mountain the name the Serbian Holy Mountain. Most of them are open to tourists and don’t miss the chance to visit them, as they have unique architecture and are usually surrounded by a beautiful green area. Apart from the monasteries, this area may be especially interesting to wine lovers. The towns of Sremski Karlovci and Irig are the best places to visit if you enjoy wine, as here you can visit many small wine cellars that produce wine of extraordinary quality which isn’t sold in other places (supermarkets or other cities) and are exclusive to restaurants in the area. Sremski Karlovci is especially interesting for the Baroque architecture, and here you can visit the Archbishop’s residence, the 200-year-old school that is still one of the most prestigious ones in the country, and many churches as well.